The folks at Ahmad Tea take only the finest teas from all around the world and blend them to bring you a rich taste and truly delicate aroma. Sourced from the foothills of the Himalayas, this superb blend of Darjeeling teas has a distinctive flavour and rich aroma that you are sure to love. With just one cup you will be whisked away to an exotic world! 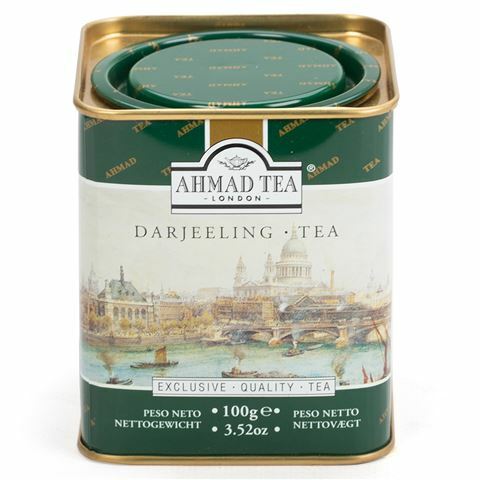 Made from a blend of Darjeeling teas. Variety: Darjeeling Tea (Loose Leaf).